Jacques Gevril traveled to Spain with watchmaking partner Pierre Jaquet-Droz in 1758, carrying an assortment of musically themed complicated clocks and watches to present to King Ferdinand VI. The king was mightily impressed and bought everything the two men carried. Jaquet-Droz returned to Switzerland while Gevril was appointed Spain’s royal watchmaker, based in Madrid, where he resided for many years thereafter. 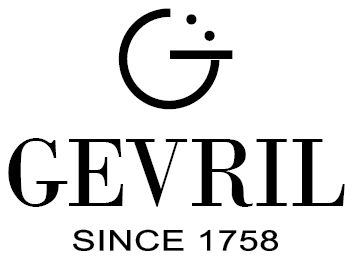 Had the Gevril Serenade 5850 existed more than two centuries ago, it might have been the legendary watchmaker’s ideal timepiece during his Spanish sojourn. 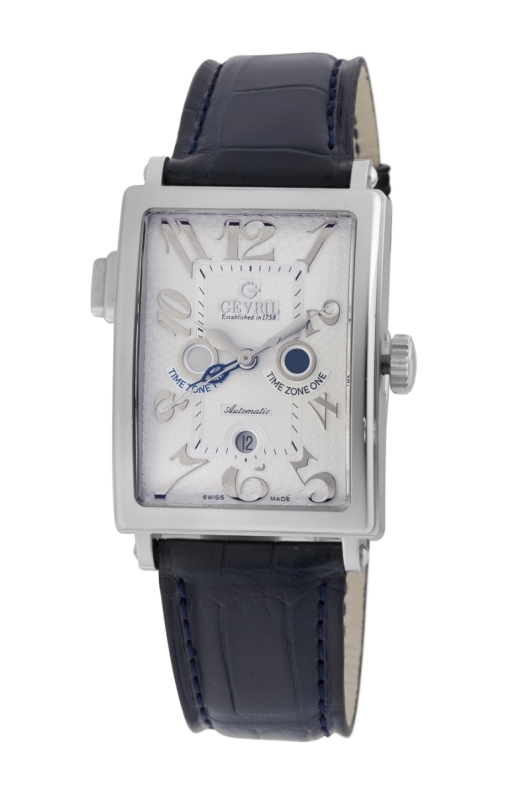 A traveler’s watch at heart, the Gevril Serenade 5850 from the Gevril Avenue of Americas Collection features a dual time-zone complication with day-and-night indicators and a date function. The primary time zone is represented by central second, minute and hour hands, all in white gold; the hour hand of the second time zone is blue and skeletonized, which is an effective juxtaposition. Each of the time zones has a corresponding day-and-night disk that indicates if it is daytime or nighttime in the respective time zone – the white part of the disk indicates a.m. hours, while the blue part denotes p.m. hours. Deco styling is a signature aspect of the Avenue of Americas collection, and the Serenade encapsulates the best of the art movement’s qualities. The 44 x 34 mm curved, rectangular case and bezel in 18K white gold are a dapper duo. The dial, also curved, features a profusion of silver guilloche, while the Arabic scripted serif numerals, also in 18K white gold, add a glamorous splash. The watch’s functions are purposeful, and inside, a modern mechanical engine with a 40-hour power reserve keeps it beating – indeed, a sensational ensemble. The use of precious metal is not limited to the case: the Serenade 5850 houses a 22-jewel automatic movement with a guilloche-engraved 23K white-gold rotor, visible through the sapphire crystal exhibition caseback. The black Louisiana crocodile-leather strap fastens by way of a folding deployment clasp, also made of 18K white gold. 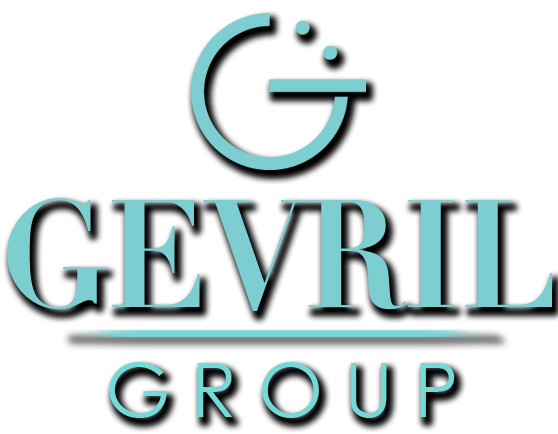 The Gevril Serenade is also available in 18K rose gold or platinum. All three versions are limited to just 50 pieces worldwide.